Saranac Lake, NY – Friends of the Saranac Lake Winter Carnival can now become fans of the official Saranac Lake Winter Carnival Facebook page. The page, created on this popular social media last week, has already gathered more than 500 fans. This tool complements Winter Carnival’s website (www.saranaclakewintercarnival.com), which also highlights events and activities slated for this popular family-friendly event. The Saranac Lake Winter Carnival will be celebrating its 114th celebration from Friday, Feb. 4, to Sunday, Feb. 13, 2011. 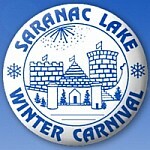 For more information, call 518-891-1990 or check the website at www.saranaclakewintercarnival.com.